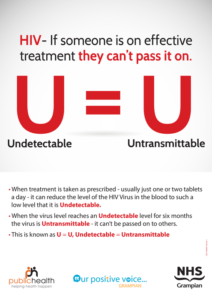 HIV– If someone is on effective treatment they can’t pass it on. 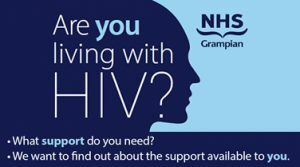 When treatment is taken as prescribed – usually just one or two tablets a day- it can reduce the level of the HIV Virus in the blood to such a low level that it is Undetectable. When the virus level reaches an Undetectable level for six months the virus is Untransmittable – it can’t be passed on to others.